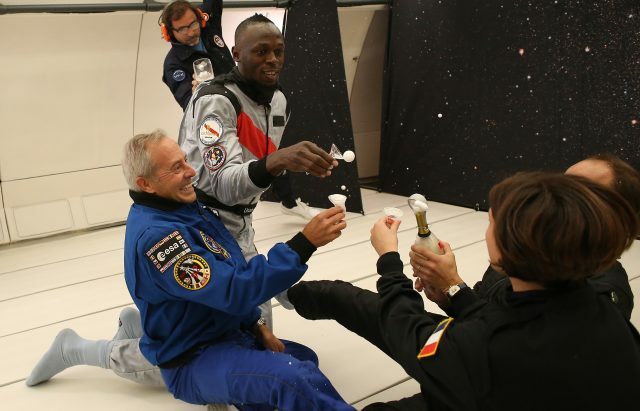 Also in the world of High-Profile Individuals Associated With Drinking, Usain Bolt tried to drink Champagne in zero gravity. Why? 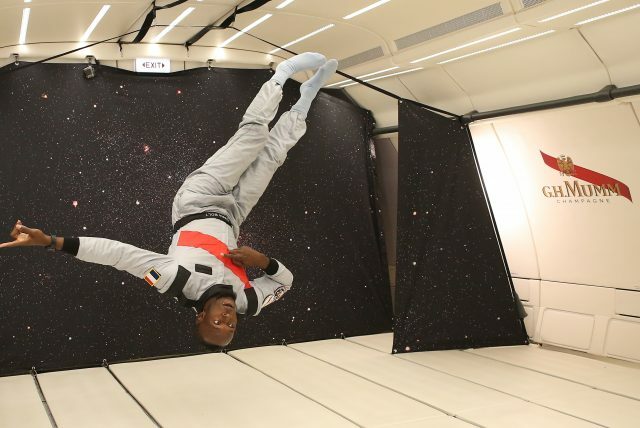 Mumm has launched a Champagne “designed to be enjoyed in space” (don’t ask), and tested it in a zero-gravity flight above Reims on Wednesday. Maison Mumm had to overcome many scientific and practical challenges that the absence of gravity poses to champagne and worked with Octave de Gaulle, founder of SPADE, a design agency that specialises in creating objects for use in space, to produce the product.